Garmin GPSMAP 78 handheld GPS perfect for marine use it floats! Garmin GPSMAP 78 handheld GPS system features a 2.6-inch colour TFT screen and is preloaded with a worldwide basemap with shaded relief. The GPSMAP 78 and 78s are both waterproof, plus they float on water! GPSMAP 78 has a 20 hour battery life and supports paperless geocaching using GPX files. 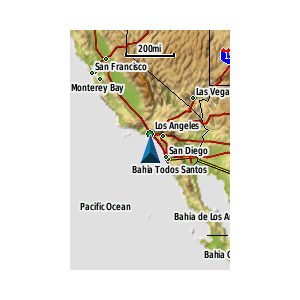 A worldwide basemap is included and additional maps are available to further enhance the units capabilities, e.g. BlueChart g3 marine charts are perfect for navigating the waters and coastline on a dinghy, yacht or boat. Garmin GPSMAP 78 is a premium handheld GPS devices designed for use on water. Slim and lightweight, its dimensions are 66mm wide, 152mm in height and 30mm deep and features a transflective TFT colour 2.6-inch diagonal sized screen. It can be powered by 2x AA batteries or NiMH or Lithium battery (both not included) with a battery life of 20 hours. The difference between the Garmin GPSMAP 78 and Garmin GPSMAP 78s is that the GPSMAP 78s includes a 3-axis compass and barometric altimeter. The GPSMAP 78 and GPSMAP 78s handhelds are not only waterproof to IPX 7 standards but they also float on water. Additionally the SD/microSD Card slot is located inside the water-tight battery compartment so you can add more mapping capabilities to the device without being concerned about water-damage. Preloaded to the premium GPSMAP 78 memory is a worldwide basemap with shaded relief. These maps can be expanded making the GPSMAP 78 more versatile. You can install BlueChart g3 marine charts showing depth contours and port plans, etc. You can turn the GPSMAP 78 into a car sat nav using the City Navigator NT Maps. Furthermore you can add Topographical mapping and GB Discoverer maps to this handheld GPS for use on foot, or on a bike. Take to the seas around the UK, Europe and further afield with the Garmin BlueChart g3 range of marine cartography chart SD/microSD cards. View compatible GPSMAP 78 Garmin BlueChart g3 titles. (Please note: the GPSMAP 78 cannot provide water-depth data). Available Garmin g3 BlueChart titles for UK waters include: Scotland, West Coast, English Channel and Irish Sea. Driving from A-B with the Garmin GPSMAP 78/78s is a doddle when you buy and use Garmin City Navigator range of street-level road maps. You can buy individual countries such as UK and Ireland, France and Benelux and Spain and Portugal or regions such as Europe or North America. Hit the countryside of Great Britain with Ordnance Survey (OS) maps on the screen of the Garmin GPSMAP 78. Maps are available to purchase in either 1:50k or 1:25k scale. Areas and regions covered include: all of Great Britain 1:50k, North Yorkshire Moors, Snonwdonia 1:25k and North Highlands 1:25k among many others. Heading into the heart of Europe for hiking, walking, cycling, skiing, rock climbing, etc, activities? 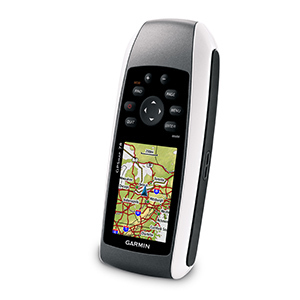 Garmin topographical maps provide detailed information including elevation and contours. Maps available to purchase include: TransApline+ Austria, Spain, France, French mountains (Alps + Pyrenees) and Italy among many others. This Garmin handheld device has a high-sensitivity, WAAS-enabled GPS receiver with HotFix satellite prediction meaning it will quickly get a GPS connection and maintain this connection in built-up areas and woodland, for example. This Garmin system also features Custom Maps. 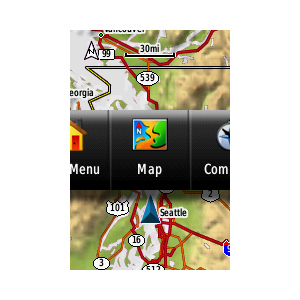 This makes it possible to convert paper and digital maps to your GPSMAP 78. This enables you to store tracks, routes, landmarks, points of interest, etc for your journey. Plus with its internal 1.7GB memory you can store up to 2000 waypoints, 200 routes and 10,000 points on 200 saved tracks. The Garmin GPSMAP 78 also supports paperless geocaching using GPX files, GPSMAP 78 will store data including the location, terrain, difficulty, hints and descriptions. Data can also be shared with other compatible Garmin devices. For example, you could share your waypoints, routes, geocaches, or even your favourite fishing location. Garmin GPSMAP 78 is preloaded with a worldwide basemap with shaded relief. Please note: Additional maps can be loaded to the GPSMAP 78. The GPSMAP 78 features an SD/microSD Card slot, an easy way to add new maps and mapping updates. Looking for accessories and spares for the Garmin GPSMAP 78? We sell the full range of genuine and compatible accessories for use with the GPSMAP 78 including a carrying case, retractable lanyard, marine mast mount, marine mount, auto mount and vehicle power cable. Please note: Some accessories are only compatible with the GPSMAP 78s, e.g. Garmin Tempe. 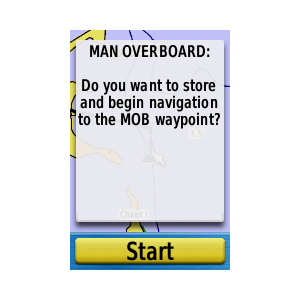 Therefore please select your Garmin GPSMAP 78 model to view compatible accessories. 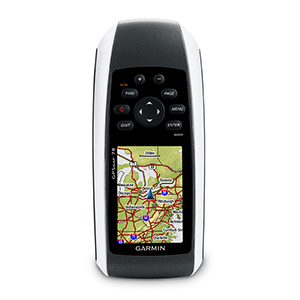 Garmin GPSMAP 78 is preloaded with a Worldwide basemap with shaded relief. However, a number of other maps supplied on SD/microSD Card are also compatible including street-level road maps - perfect for cycling of using your GPSMAP 78 in a car, 1:50k Great Britain TOPO and 1:25k Great Britain TOPO, along with other topographical maps - ideal for hiking and walking the countryside of Great Britain and marine BlueCharts - ideal if you want to navigate the waters around the UK, Europe or further afield.